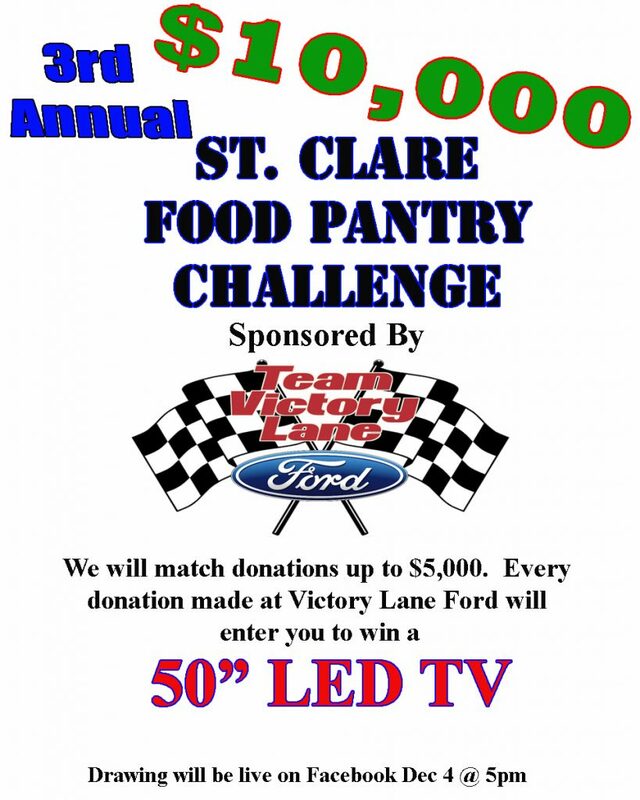 Come in to Victory Lane Ford any time in November and make a cash donation to the St. Clare Food Pantry. Victory Lane Ford will match the total donations up to $5,000. Every donation made at Victory Lane also gets you entered to win a 50″ LED TV. 903 Old Route 66 N.